Carr completed 21 of 28 passes for 244 yards and three touchdowns while rushing twice for zero yards and a touchdown in Sunday's 42-28 loss to the Colts. Analysis: Who needs Amari Cooper anyway? Carr bounced back beautifully from his worst performance of the season despite watching the starting wide receiver get traded for a first-round pick in between. The quarterback accounted for all four touchdowns as his team took a 28-21 lead into the fourth quarter, but Indianapolis pulled away with a 21-0 run in the final frame. Carr will have a short turnaround with a Thursday night tilt in San Francisco on the docket for Week 9. 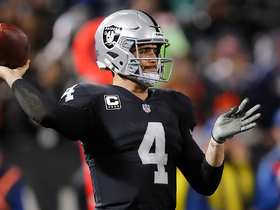 Carr was recently informed by the Raiders that the organization views him as their quarterback now and for the foreseeable future and has no intention of trading him, Adam Schefter of ESPN reports, citing sources. Carr (arm) wasn't listed on the Raiders' first injury report of the week ahead of Sunday's game against Indianapolis, Scott Bair of NBC Sports Bay Area reports. 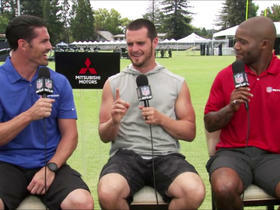 Analysis: A bye week gave Carr plenty of time to recover from a minor injury to his left arm. He's now getting acclimated to an Oakland offense without top receiver Amari Cooper, who was traded to Dallas on Monday. Carr's top remaining targets are Jared Cook, Jordy Nelson, Martavis Bryant, Jalen Richard and Seth Roberts (concussion). After Sunday's 27-3 loss to the Seahawks in London, Carr told Michael Gehlken of the Las Vegas Review-Journal that the injury to his left non-throwing arm is "just a little bruise. I'll be alright." Carr completed 23 of 31 passes for 142 yards, adding four rushes for 31 yards in a 27-3 loss to Seattle on Sunday. He also suffered an injury to his non-throwing shoulder in the game, though the team doesn't feel it's a huge concern. Carr left Sunday's game against the Seahawks during the fourth quarter due to a left shoulder injury, Michael Gehlken of the Las Vegas Review-Journal reports. Analysis: Carr attempted to convince coach Jon Gruden to let him back in the game after meeting with medical personnel, but backup AJ McCarron could be asked to finish this contest. The Raiders' aerial attack has been affected by multiple injuries Sunday, as Amari Cooper and Seth Roberts also exited with concussions. Carr completed 24 of 33 passes for 268 yards with a touchdown and an interception in Sunday's 26-10 loss to the Chargers. 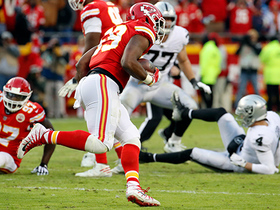 Analysis: Carr's goal-line interception late in the third quarter essentially sealed the game, but he did at least bounce back with a one-yard touchdown pass to Jordy Nelson to pad his stat line in garbage time. It didn't help that the Chargers held a comfortable advantage in time of possession, and Amari Cooper surprisingly drew just a single target. A Week 6 home game against Seattle will be the next challenge for Carr in a disappointing, inconsistent 2018 campaign. Carr completed 35 of 58 pass attempts for 437 yards, four touchdowns and two interceptions during Sunday's 45-42 overtime win over the Browns. Carr completed 27 of 39 pass attempts for 345 yards, one touchdown and two interceptions during Sunday's 28-20 loss to the Dolphins. 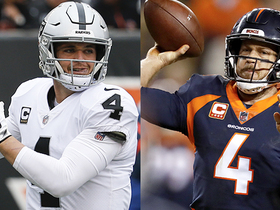 Carr completed 29 of 32 passing attempts for 288 yards and a touchdown in Sunday's 20-19 loss to Denver. 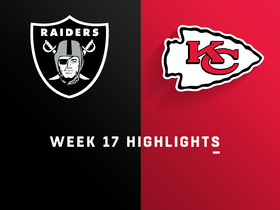 Analysis: Carr's first touchdown pass of the season went to Seth Roberts for a 20-yard third-quarter score that put the Raiders up 19-7. Unfortunately, that was the end of the scoring for Oakland on the day, but the 27-year-old showed marked improvement in this one and did not turn the ball over. He also managed to find Amari Cooper 10 times, which bodes well for the offense going forward. The fifth-year veteran will try to build on that momentum in a tough cross-country trip Week 3 at Miami. Carr (general soreness) wasn't listed on the Raiders' injury report Wednesday, Matt Schneidman of The San Jose Mercury News reports. Analysis: Head coach Jon Gruden mentioned that Carr felt sore after Monday's 33-13 loss to the Rams, but it was probably just the normal bumps and bruises that come with playing professional football. The Raiders will have another tricky matchup this weekend when they travel to Denver and take on a defense that had six sacks and three takeaways against the Seahawks in Week 1. Raiders head coach Jon Gruden said Carr is dealing with some soreness after the team's 33-13 loss to the Rams on Monday, Matt Kawahara of the San Francisco Chronicle reports. Carr completed 29 of 40 passes for 303 yards, no touchdowns and three interceptions while adding one yard on two carries in Monday's 33-13, Week 1 loss to the Rams. Carr completed two of three passes for 68 yards in Friday's preseason game against the Packers. Analysis: Carr hooked up with Amari Cooper for a 49-yard gain on the first snap of the game, setting up a field goal on the only drive for the first-team offense. Assuming he's held out of the preseason finale next week, Carr will finish the preseason with just seven pass attempts. Coach Jay Gruden believes practice reps will be sufficient to prepare the 27-year-old quarterback for Week 1 against the Rams. Raiders head coach Jon Gruden said Carr and other starters will play into the second quarter of Friday's preseason game against Green Bay, Matt Schneidman of The San Jose Mercury News reports. 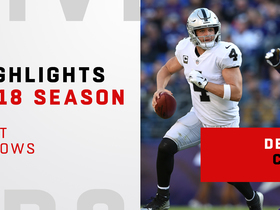 Analysis: Gruden held out most of his key players for the second week of the preseason in a matchup with a Rams team they'll face again in Week 1. Friday's exhibition will provide a real opportunity to get a look at the Raiders' first-team offense, though Gruden doesn't plan to leave Carr in the game beyond halftime. The 27-year-old quarterback completed two of four passes for 11 yards in the preseason opener against Detroit. Carr will not play in Saturday's preseason tilt against the Rams in order to rest, Michael Gehlken of the Las Vegas Review-Journal reports. Analysis: The Raiders are scheduled to open the season against the Rams, so it perplexed coach Jon Gruden when they also showed up on their preseason schedule. 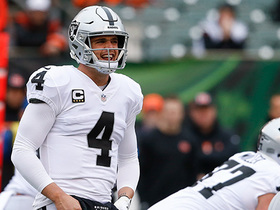 As a result, he has opted to rest Carr and several other starters in an execution of gamesmanship. The quarterback will likely see some action in the team's third exhibition game next week versus the Packers. Carr already seems to have a strong command of coach Jon Gruden's offense, Michael Gehlken of the Las Vegas Review-Journal reports. 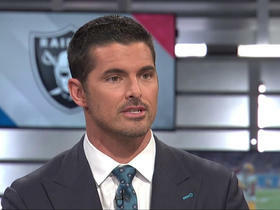 Carr said he enjoys working with new Raiders coach John Gruden, Jerry McDonald of The San Jose Mercury News reports. 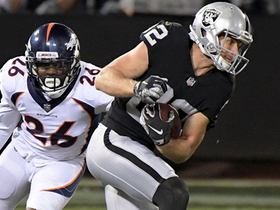 Carr acknowledges that the back injury he suffered in Week 4 of the 2017 campaign was something he had to contend with as the season progressed, CSN's Scott Bair reports. "I had to deal with it," Carr noted. "I had to do certain things to manage it, but I just didn't talk about it. I didn't want it to be an excuse." 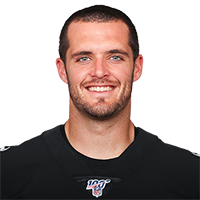 Carr, who completed 19 of 28 passes for 243 yards and a touchdown in Sunday's loss to the Chargers, finishes up his 2017 campaign with 323 completions on 515 attempts, 3,496 passing yards, 22 touchdowns and 13 interceptions in 15 games. Carr completed 15 of 29 passes for 140 yards, a touchdown and two interceptions in Monday night's 19-10 loss to the Eagles. Carr completed 21 of 38 passes for 171 yards and two touchdowns while rushing four times for 47 yards and a fumble during Sunday's 20-17 loss to the Cowboys. 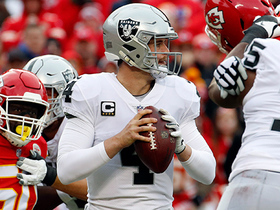 Carr completed 24 of 41 pass attempts for 211 yards and a touchdown in Sunday's 26-15 loss to the Chiefs. He also threw two interceptions and took three sacks. Carr completed 22 of 36 pass attempts for 287 yards and a touchdown in Sunday's 24-17 victory over the Giants. He lost one yard on his lone rush. Carr completed 18 of 24 pass attempts for 253 yards and two touchdowns in Sunday's 21-14 defeat of the Broncos. He also lost three yards on three rushing attempts as well as a fumble. Carr completed 28 of 49 passes for 237 yards and a touchdown in Sunday's 33-8 loss to the Patriots. He also threw an interception. Analysis: Given what was ostensibly a good matchup for the Raiders' passing attack, Carr failed to extend his three-game streak of over 300 passing yards. He did, however, throw an interception in his third straight game. It has been an inconsistent season for the fourth-year veteran, and he has a very tough test ahead versus Denver at home Week 12. Carr completed 21 of 30 passes for 300 yards, one touchdown, and one interception during Sunday's 27-24 victory over the Dolphins.